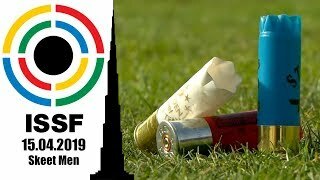 The 2014 ISSF Rifle, Pistol and Shotgun World Cup stage in Munich entered in its sixth day, which was opened by the 50m Rifle 3 Positions Women final. The first-time Italian finalist Sabrina Sena, 29, pocketed the Gold medal with 455.7 points, after shooting two 10.9s in a row in the standing series. 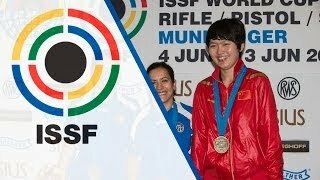 Two fantastic shots that propelled her up atop of the scoreboard, and that gave Sena her first ISSF medal ever. Competing since 1997, the 29-year old Italian athlete had indeed never made it to an ISSF final match, before. “I have been shooting for more than 10 years, and I had never made it to a final, before. Getting into today's match had already made my day. Winning the Gold medal was totally unexpected.” Sena said. “The World Championship? I still don't know if I will be there, we'll have our selection matches in the next weeks.” Sena concluded. To climb upon the highest step of the podium, she beat the world's number 1 in in this event, her teammate Petra Zublasing (24). Zublasing finished the kneeling series in second place, and then moved down in third place after the Prone series. During the Standing series, she climbed back in second, overtaking the Chinese finalist Chen, and eventually finished on the second step of the podium winning the Silver with 454.5 points. “I did not shoot good today!” The world cup title holder. 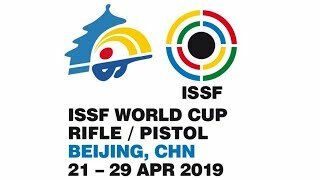 Chen Dongqi (25) from the People's Republic of China, an athlete who started shooting internationally just one year ago and who's already ranked 9th in the world, led the kneeling series, finishing atop of the leaderboard with 154.4 points. The young Chinese athlete kept the leadership through the Prone series, with 308.1 points, but then she could not resist the outstanding scores of the Italians during the Standing series. With a total score of 443.7 points, she slid down in third place pocketing the Bronze, her first international medal. 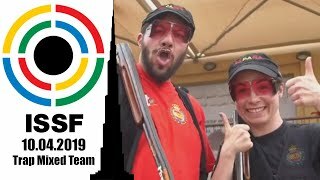 Beijing's Olympics air rifle Bronze medallist Snjezana Pejcic (31) didn't make it to the podium by 0.7 points, and placed in fourth behind Chen with 433.0 points. The French athlete, ranked 14th in the world in this event, had a slow start placing in eighth in the kneeling series with 148.9 points, and then climbed up the scoreboard during the Prone and Standing series right to the fifth place, where she ended up with 420.6 points. 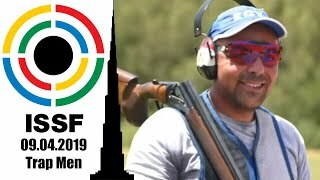 Ukraine's Natalia Kalnysh (39) made it to the final after shooting a world-record score of 592 points at the qualifications. Then, starting the new final from zero, she climbed up the scoreboard during the Prone series (second with 307.8 points), but eventually closed the match in seventh place with 410.4 points after firing a disappointing 7.5-shot during the standings series. 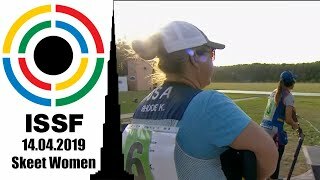 Alexis G. Martinez (23) from Mexico, competing in her first ISSF final match today, ended up her final in seventh place with 398.2 points. Another first-time finalist, Switzerland's Petra Lustenberger (23), followed her placing in eighth with 396.4 points.